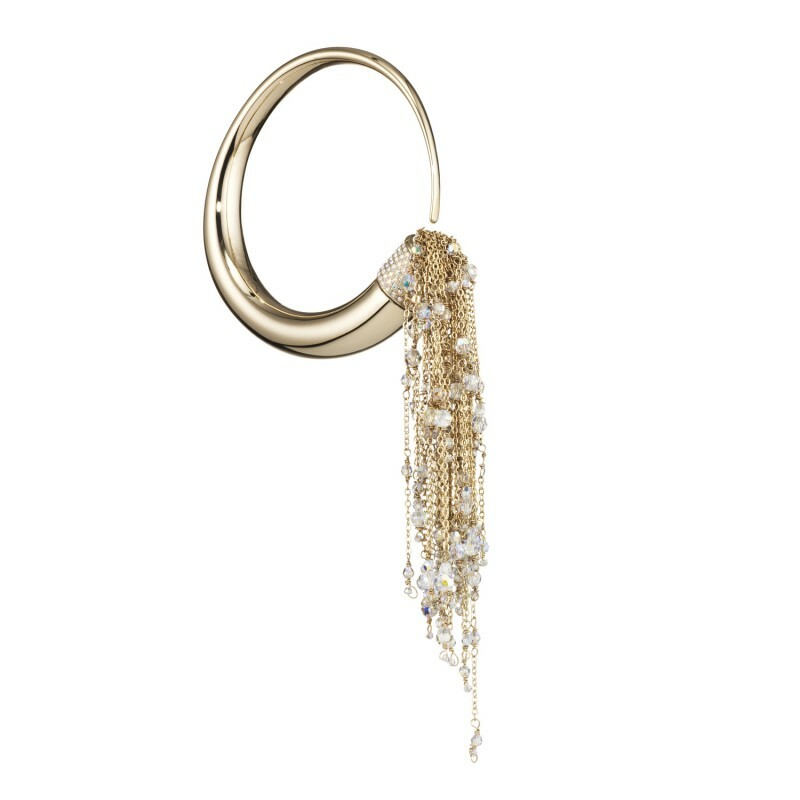 Finely handcrafted, the Kalifa Bangle is finished in a 24kt gold plating and decorated with AB Swarovski crystals. 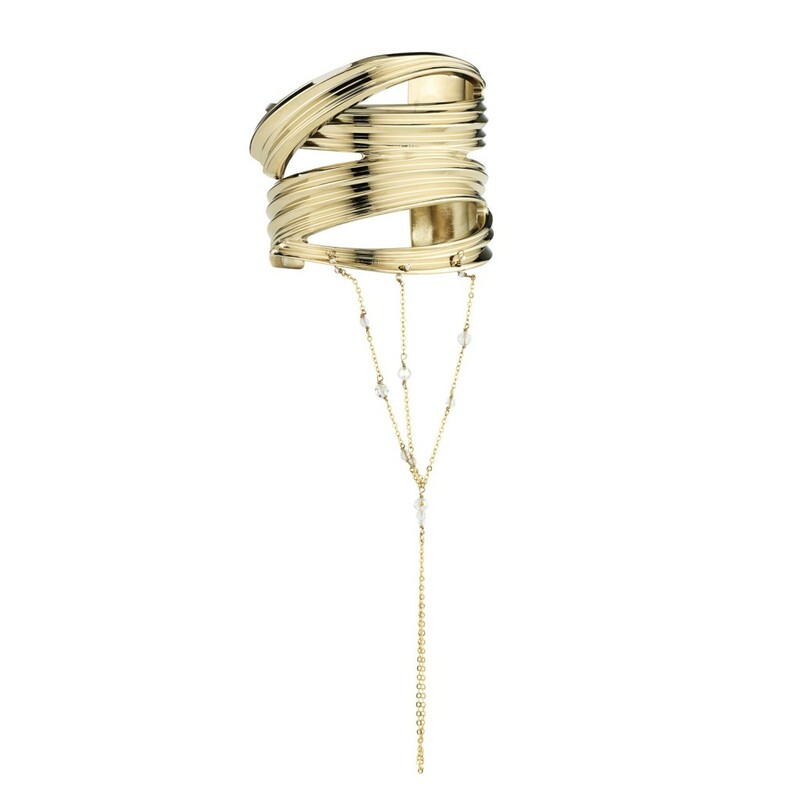 Part of a collection of high-end luxury jewellery from Eden Diodati. Hand made by an extraordinary cooperative of women who survived the genocide in Rwanda. Gathering orphaned and widowed women in Kigali, the cooperative provides work for more than 5,000 genocide survivors. Eden Diodati is a unique collection of sustainable luxury jewellery pieces made by an extraordinary social cooperative of women who survived the genocide in Rwanda. 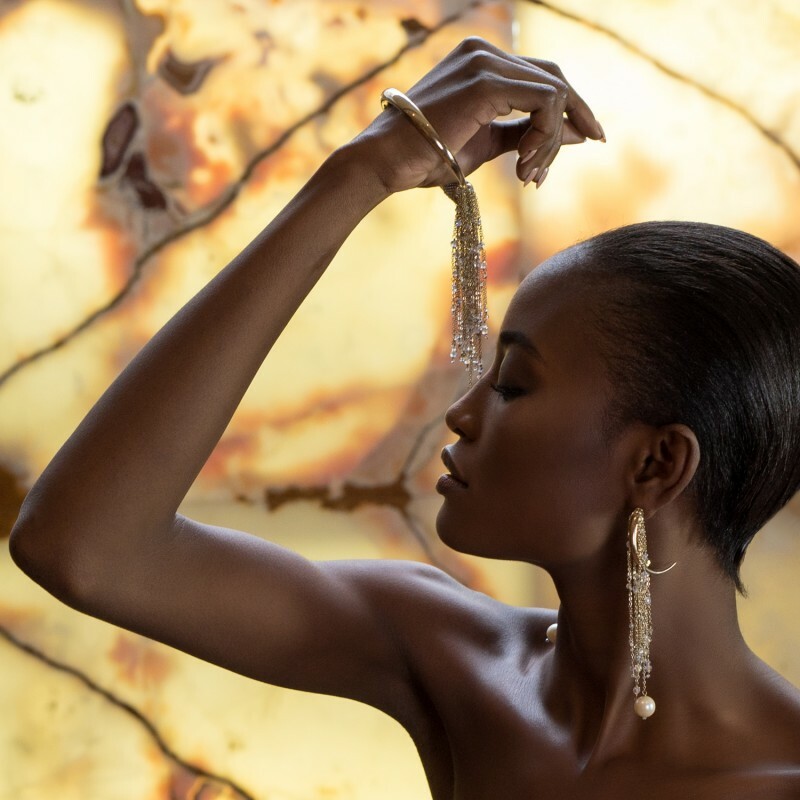 Each piece is made in Italy and hand beaded in Rwanda, employing centuries old artisanal skills and craftsmanship to achieve finishes of the highest level.